Floor-gazing dresses or what we all know as maxi dress are making it’s way to every women’s style. Before, most women associate long dresses with formal occasions. However it is changing now, it has become acceptable to wear maxi dresses even in casual days or whenever we want to. 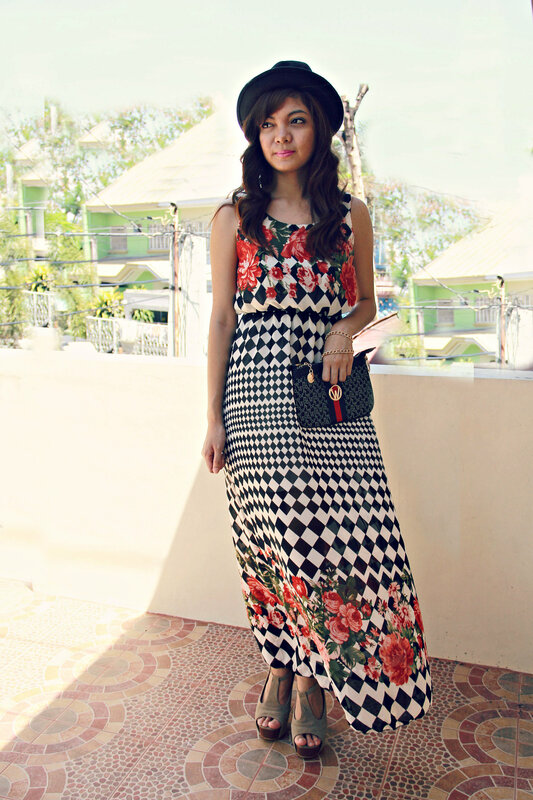 Since it is still season of summer (i think so), I wore a maxi dress with black checkered and floral prints. I think it is perfect to pair the dress with an earth toned peep-toe heels. But if you are aiming for a relaxed effect, flip-flops or low-heeled platforms are perfect for a chic yet effortless vibe.